The ingenious optical design achieves a compact body with a filter diameter of just 52mm. A stepping motor that is optimized to match this model provides silent, quick and accurate auto focusing. The metal lens barrel exterior is available in two colors: black and silver, providing the most popular color options to match high end cameras. Using a circular diaphragm, this lens achieves spectacular background blur effects. 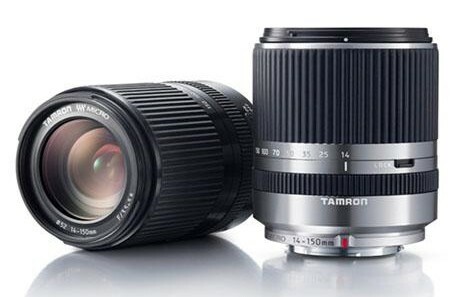 For the past 22 years since Tamron released to the market an extremely practical high-power zoom lens (28-200mm Model 71D) in 1992, the company has endeavored to continually develop high-power zoom lenses. By actively using its long-cultivated technology, Tamron has successfully developed an epoch-making compact and stylish, high-power all-in-one zoom lens that will further accelerate the attractiveness of the Micro Four Thirds cameras in the market. When the development of this model was originally announced in January 2013, the lens was slated to feature built-in VC (Vibration Compensation). However, a series of deliberations and discussions over the course of the development process resulted in the removal of VC functionality.